Ahmedabad:Mumbai-Delhi flight of private airliner Spicejet had to make emergency landing at Sardar Patel airport in Ahmedabad today morning. 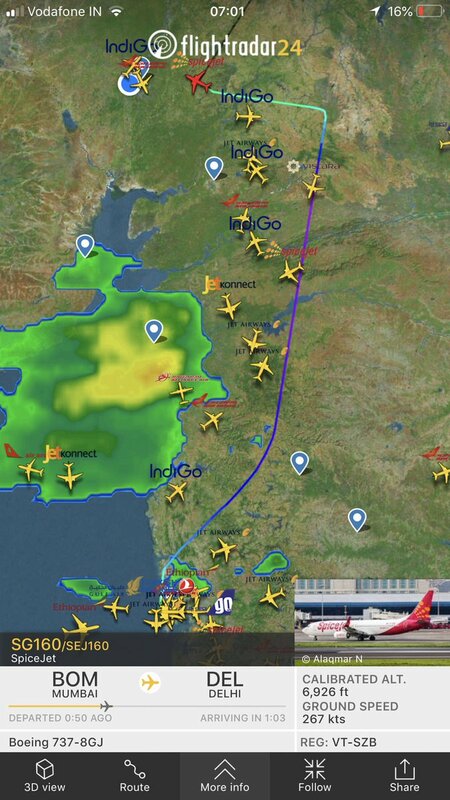 SpiceJet Mumbai-Delhi flight SG160 had a pressurisation problem. The pilot declared Squawking 7700 in-flight emergency. Following standard operating procedure, the aircraft was diverted to Ahmedabad where it landed safely at around 7.00 am. The aircraft has bene identified as SpiceJet Boeing 737 Aircraft VT- SZB. It took off around 6 am from the Mumbai airport. Enroute to Delhi the aircraft had a pressurisation problem, said a Spice Jet spokesperson. Oxygen masks came out of panel due to pressurisation issue. The flight had 188 passengers aboard who were grounded at Ahmedabad airport. All of them were safe. 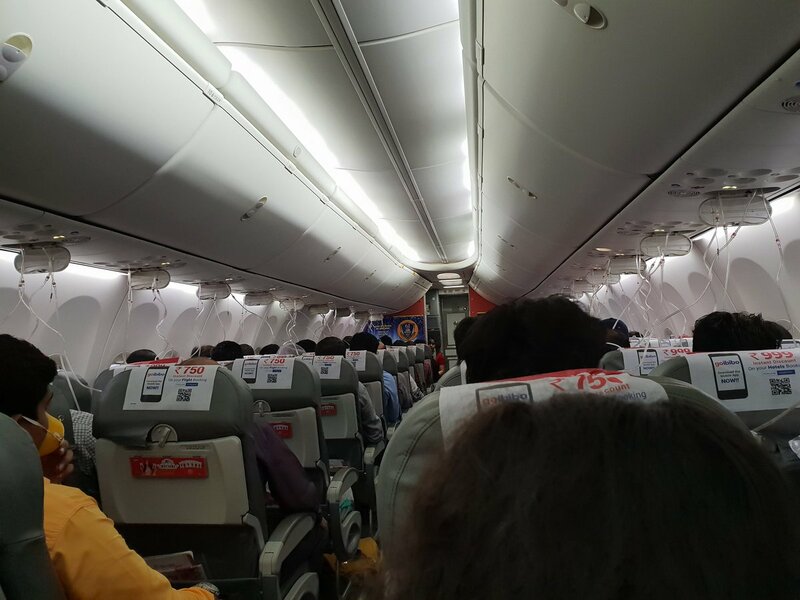 An aircraft of Spice Jet with 194 people on board while flying from Mumbai to Delhi had to make an emergency landing at Sardar Vallabhbhai Patel International Airport here owing to pressurization failure this morning. Airport Director Manoj Gangal said that Spice Jet flight SG160 with Boeing 737 aircraft, from Mumbai to Delhi, with pax on board 194, had pressurization failure at 0645 IST. It had taken off from Mumbai at 0600 IST. ‘The aircraft requested for diversion with immediate landing at Ahmedabad which was approved by Ahmedabad airport. All the emergency procedures were immediately activated at the airport. As per the information received from ATC, the lady pilot of the aircraft had reported burning smell in the aircraft at 0655; and requested a parking stand closest to the landing area which was immediately approved. Aircraft landed at 0710 IST safely under the full watch of crash fire tenders, ambulances and medical facilities. All passengers were safe and comfortable,’ he said adding that they were served with meals and later ferried at 1200 hrs today through a special flight.